You could potentially have your home insurance rates hiked because of your lovable pup. What’s even worse is that you may even be refused coverage. According to KLS, many states have insurance companies that won’t cover certain breeds of dog. Agents say that some breeds have a risk that is just too high to be included in home insurance coverage. Our Boston dog bite lawyers understand that one insurance company’s ad claimed that dog bite incidents accounted for about a third of all liability claims filed. 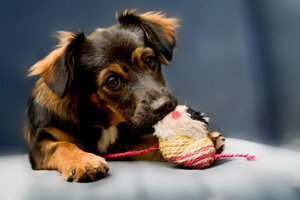 The Insurance Information Institute reports that the insurance industry saw close to $500 million in dog bite-related liability claims in 2011. When you average them all out — each claim costs about $30,000. That’s a number that’s up more than 50 percent in the last decade. And these companies can deny you coverage, even if your own dog has no viscous history. Thank the science behind the statistics. “Those are the breeds that are more aggressive,” said Craig Densley of Bear River Mutual Insurance. What people on both sides of the debate agree on is that any breed of dog has the potential to bite. It’s difficult to determine just how much a dog’s genetics influence behavior, just like it’s hard to know how much of a person’s personality is inherited. It’s true that some breeds simply have more ability to injure people. Though it’s no more likely to bite than a smaller dog, if it does bite, a Great Dane can do much more damage than a Maltese, for example. Each and every year, there are close to 5 million people who are bitten by a dog in the U.S. According to the American Veterinary Medical Association (AVMA), one out of every five of these victims requires medical attention. Overall, close to 1 million Americans seek medical attention for a dog bite each year. About half of these victims are children. Dog bite losses exceed $1 billion per year. In the past several years, there have been 30 to 35 fatal dog attacks in the USA annually. Among children and adults, having a dog in the household is associated with a higher incidence of dog bites. As the number of dogs in the home increases, so does the incidence of dog bites. Adults with two or more dogs in the household are five times more likely to be bitten than those living without dogs at home. Before bringing a pup into your home, make sure you talk with your home insurance provider. Make sure there are no limitations. It’s also a good idea to talk with a professional, to see what kind of dog is best for your household. Dogs with histories of aggression are inappropriate in households with children. National Dog Bite Prevention Week takes place during the third full week of May each year, and focuses on educating people about preventing dog bites. If you or someone you love has suffered a dog bite injury, call the Law Offices of Jeffrey S. Glassman for a free and confidential appointment — 1-888-367-2900.